'SURF-ROCK' creators, Beach Skulls offer us a way out of modern day life, reflecting on raspy rock'n'roll days of the late 50's and early 60's, channelling their inner gloom to add a rawer, more fierce balance to the arguably innocent teenage sound. Recently made available for download, 'Meet Me At The Beach House' is a grunge-pop mash-up of marvellous chunky-knit drum beats and chimerical guitar thumps. Complete with ooh and ahh harmonies, the sluring vocals are gold-tipped whispers of ice-cream honey, grasping onto the edge of each note, heavily embedding the summertime ambience of relaxation and island blues. Cheery cool blasts of idilic sunshine and lagoon antics attack the audience, actively prompting all to get credit cards out in order to book next years extravagant excursion. This fanciful Liverpool duo are definitely ones to watch, avoiding being swallowed up by surrounding bodies of modern day chart-show music and driving the local music scene fancifully forward. Also becoming one of my favourite upcoming bands in the meantime. I grabbed a quick interview with the lads behind the scenes to find out more about their infectious beachy sound! How did the current Beach Skulls line-up come to be? It's always just been us both, haven't ever felt the need to change it. Have you all been involved in music before Beach Skulls? Yes, we were both in terrible bands beforehand. What do you think has been the hardest challenge so far? Recording with an awful £8 microphone has been minging and travelling without a car has been an arse, other than that plain sailing. When you listen back and you just think to yourself yeaaaa I like the sound of this, you can normally tell straight away. Favourite track to play live? A new track we've been doing live called In The Dark, it isn't released yet but yeah we love playing that. What's so special about when you play live? People vibing of our music is always lovely to see, and getting heckled to play slater is sound too. And people shouting Torres in the voice of Gary Neville. Who else are you liking the sound of right now? Fuzz, Night Beats, Mac Demarco, Tame Impala, Grimes, BadBadNotGood, Pink Teens, Death Grips, Shanon and the Clams, Doom, Curtis Mayfield, The Wytches, Holydrug Couple, The Growlers, Ty Segall. Do you ever get fed up of each other? Nahh, because we're both dead sound wools. 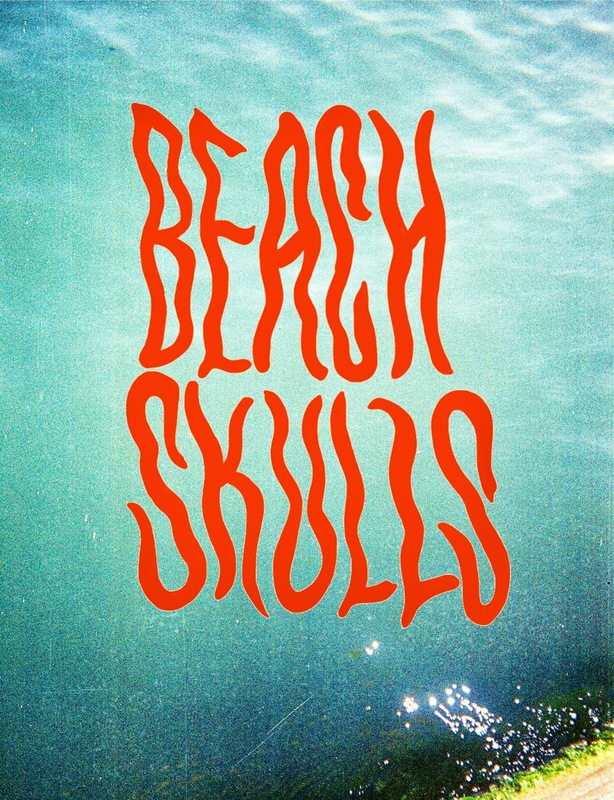 What are we going to hear from Beach Skulls in the next year? Yes, we've been recording over summer and are still doing so now, there should be lots of new music and videos over the next few months. Any gossip you'd like to get off your chests? It is true that Jord is indeed the father of Miley Cyrus' unborn child. It is also strongly rumoured that Craig Charles is Ry's uncle.